Editors’ Note: This piece is a collaborative project shared between Equality Pennsylvania, Services and Advocacy for GLBT Elders (SAGE), and Freedom for All Americans, designed to share the real stories of LGBT people, the discrimination they have experienced in their Pennsylvania communities, and the need for comprehensive protections now. Photographs by Kristy Lumsden Photography. There is perhaps no better community to reflect on the importance of LGBT equality than LGBT elders and aging adults, who have lived through so many decades – and so much change. From enormous challenges – like years of pervasive, aggressive rejection or the AIDS crisis that swept through the gay male community in the 1980s – to triumphant victories like landmark court victories declaring LGBT people’s right to love and marry – older LGBT people have experienced so much history. However, throughout all of this change, including significant steps forward, one major and critical summit has not yet been reached: In many states LGBT people have no statewide laws protecting them from discrimination in employment, housing, or public spaces. Pennsylvania is one of 31 states with insufficient protections for LGBT people – and that needs to change. 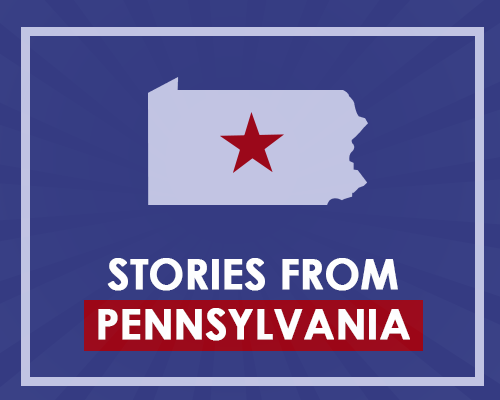 That’s why these 10 LGBT Pennsylvanians are speaking out, sharing stories of discrimination they have faced – whether recently or years ago – and making the case for why these long overdue protections must finally be passed in the Keystone State. ACT NOW: If you’re an LGBT elder – no matter where you live – your story can make a real impact. SAGE and other organizations are working now through August 22 to tell the Administration for Community Living (the federal government body that oversees the aging services network) that LGBT elders matter. Please sign the comment card HERE telling the ACL that our elders matter. Just click here to sign – and click here for more information about the initiative. When Shelby Shallenberger explained to the human resources director at the community college where she worked years ago that she would be transitioning from male to female, she was told that the company would do everything possible to keep her safe. “Everybody was OK with me,” she said. “But then I began to feel unsafe using the men’s bathroom. HR gave her a key to the only private bathroom in the main building. Unfortunately, her job required her to visit three other satellite campuses without a private bathroom. For those locations, she was given an “out of order” sign to hang on the door when she used the women’s bathroom. Shallenberger followed instructions at first, but she stopped using the sign because she “felt ridiculous.” Consequently, HR called her in and told she had to stop using the women’s bathroom or lose her job, because her driver’s license didn’t match her gender. At the time, it was extremely challenging for Pennsylvanians to update their gender markers on their licenses. She resigned her job. 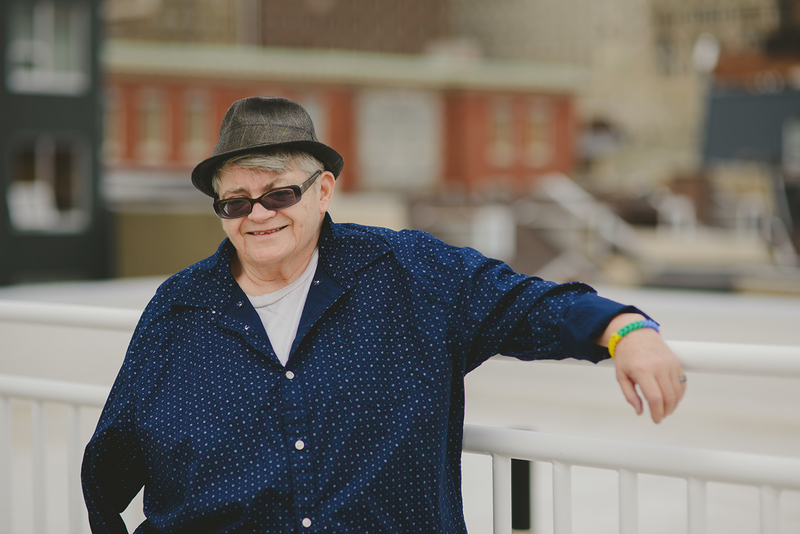 She consulted a lawyer in Pittsburgh and found she had no legal basis for action against her employer, since Pennsylvania has no statewide laws protecting LGBT people from discrimination. Even now, years later, the state has no affirmative non-discrimination protections. Those traumas took a heavy toll. “I went from happy-go-lucky to paranoid,” she said. Now she lives “in the middle of nowhere,” near family. She is in familiar territory – but it’s limiting, and without an income, it’s a challenge to keep her car on the road. Shelby does not regret her transition – but she does regret the significant discrimination she has faced as a result of intolerance, a lack of understanding, and insufficient legal protections from the state of Pennsylvania, which has the duty of protecting its citizens equally and fairly. At a holiday event a few years ago recognizing his 20 years of service at the university where he worked, Steve Grout was interrupted from a fun evening by a casually homophobic comment from the university president. After the incident, Grout did research online and with his colleagues to find out if his salary as a tenured associate professor of architectural design was on par with other people at his level. “I had done so much good there. I started an interior design program, which led to an architectural program and then a school of architecture. 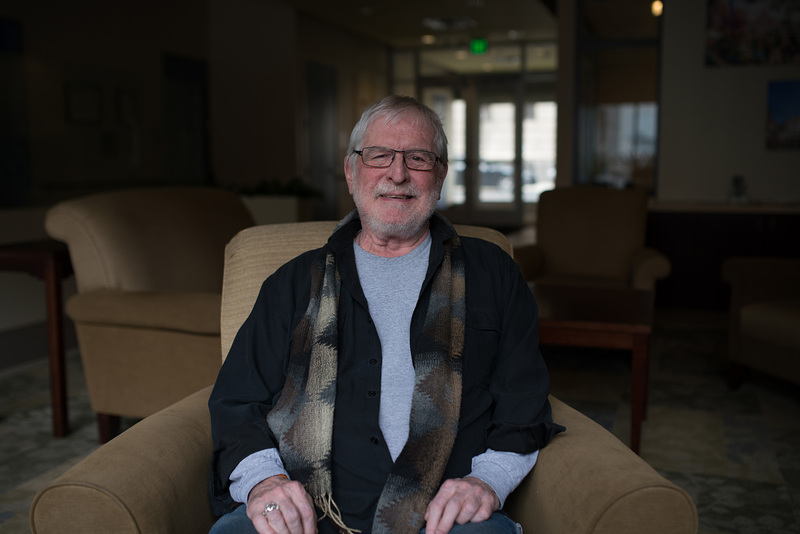 My students liked my courses, and I had friends in every part of the university,” Steve, now 70 years old, said. He also started a gay/straight alliance at the school – although he was cautioned to wait until he had tenure before coming out and beginning the GSA. “I was ready to blow out the closet doors after I got tenure,” he said. Grout’s lawyer began proceedings against the university – and the case was settled in 18 months, to Grout’s satisfaction. Steve was fortunate to have been able to settle the case – after all, in Pennsylvania no state law protects people from discrimination based on sexual orientation or gender identity. For many years, residents have called for the passage of the Pennsylvania Fairness Act, which would extend comprehensive LGBT non-discrimination protections statewide – and this year, there’s more momentum than ever for passage of the law. Dionne Stallworth could give a master class in staying strong and resilient in the face of adversity. 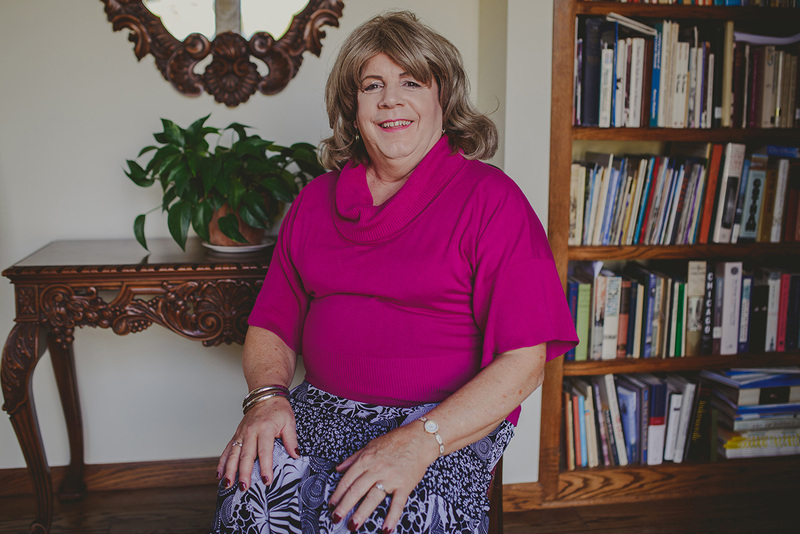 From work life to family life to intimate relationships, she has faced many challenges since transitioning from male to female more than 30 years ago. 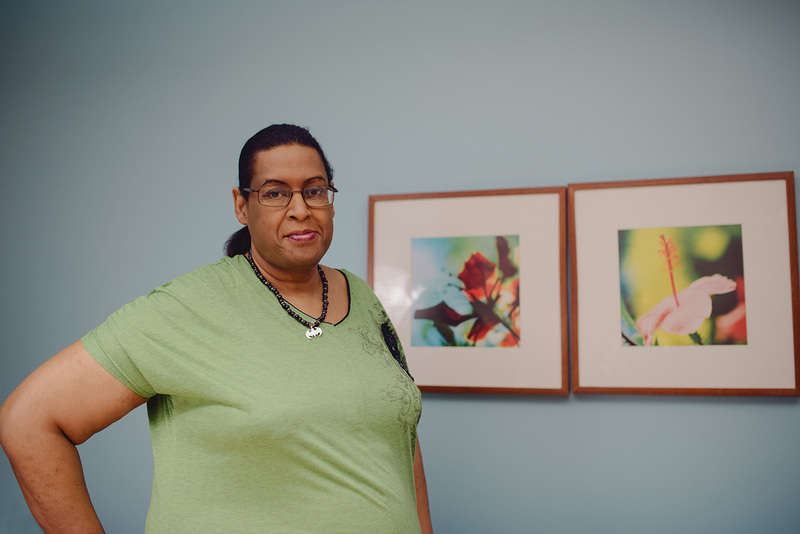 Romantically, she has also had to navigate the world as a lesbian transgender woman – and as a person of color – additional challenges prompted by a lack of understanding and pervasive discrimination among many Americans. Still, she says she has come through these many roadblocks as a strong, fiercely independent person, committed to making the world a better place for all. Dionne knows the importance of passing equal rights legislation to ensure transgender people are better understood and protected in Pennsylvania – and nationwide. She said that just as the Civil Rights era made inroads towards equality for black Americans, people eventually will “get on board” with the critical need to protect LGBT people. 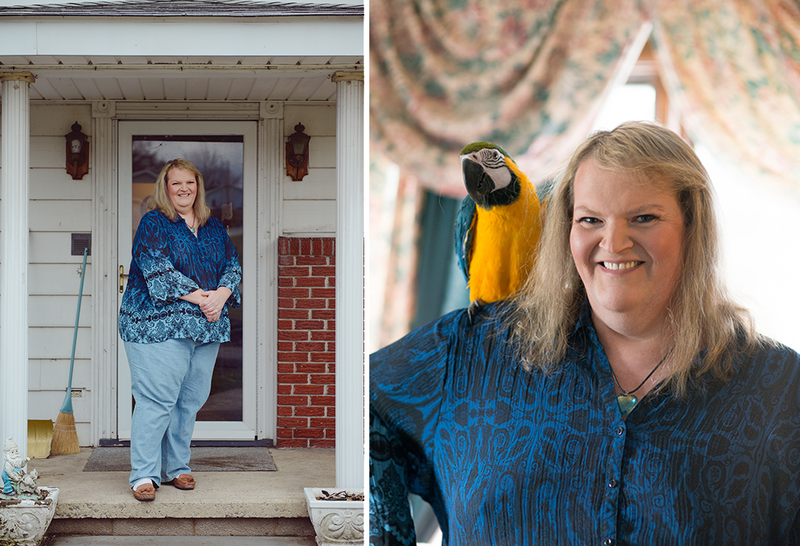 To that end, she is an active participant in GenderPAC, one of the first national transgender lobbying groups. On the morning of September 11, 2001, April Fredericks watched as hundreds of emergency medical services personnel rushed into Manhattan, reporting to the scene of the devastating, horrible attack on the World Trade Center in New York. The tragedy – and witnessing the bravery from those who helped so many victims that day – inspired April, who at the time owned a patterns and casting company in the city, to become an EMT herself. 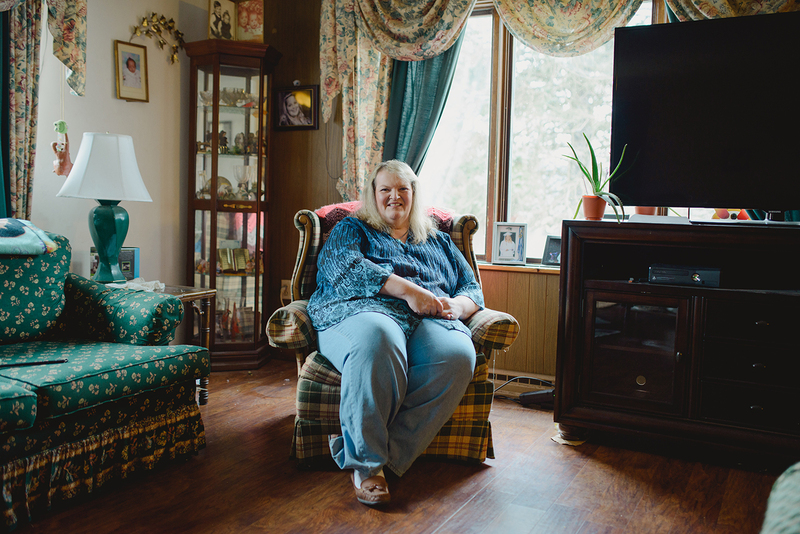 She purchased a home in Bushkill, PA, settled in with her significant other and her son, and became educated, trained, and certified as an EMT and paramedic. From 2005 through 2012, April worked on and off for various Emergency Medical Service companies in Monroe and Pike Counties. She had difficulty turning these stints into full-time work – and when she was hired, she often was fired or intimidated into quitting. That’s because April is transgender – and many of her colleagues did not understand her identity as a person who transitioned from male to female. “In one instance, the Milford Fire Company threatened to cancel their contract with Pike County Advanced Life Support unless they fired me, so I lost the job in October 2007,” April said. At a job for an ambulance company, her training instructor asked her if her name was Al or April, and she answered, “April.” Soon after that, the company found an excuse to fire her in the middle of her shift. April’s financial situation began to erode drastically, but she continued to seek work, dealing on a daily basis with being misgendered by patients and colleagues. She ultimately sought an early retirement in 2012 and continued her long pursuit of karate studies. 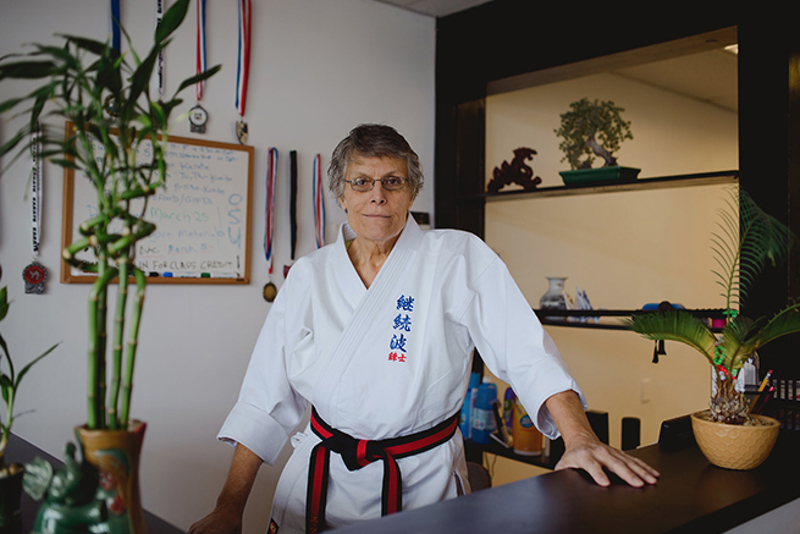 She became a senior teacher and is now the owner of the dojo where she was formerly a teacher, and then manager. April is proud to see that, at last, her hard work has been rewarded with her success in the karate world. But in reflecting on her career, she also knows that transgender people should be on an even playing field as everyone else – they shouldn’t have it harder just because of who they are. “You should be the person you really want to be,” she said. In Pennsylvania, that’s not always possible due to the state’s lack of non-discrimination laws protecting LGBT people. That needs to change – and April will continue raising her voice, working within her community to create change. 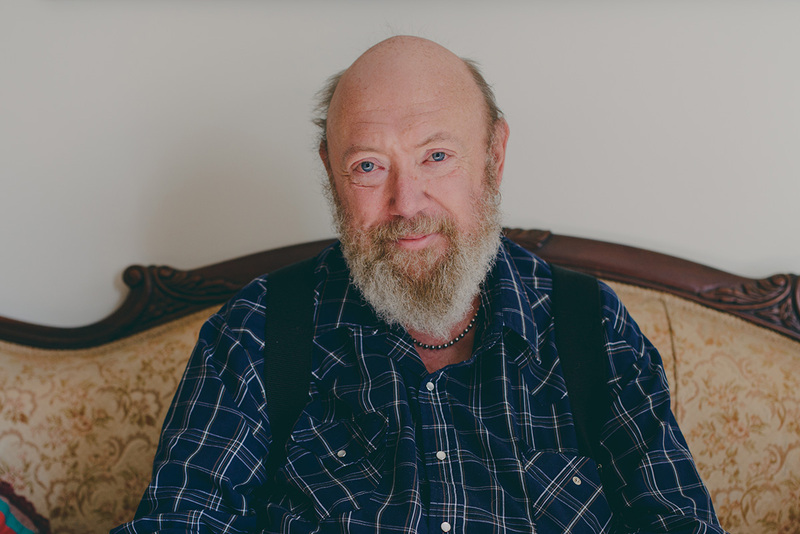 Living in rural northwestern Pennsylvania hasn’t always been easy for Terry Husk, a gay man raised outside of Pittsburgh. In high school, he was attacked by another student, and he faced many verbal assaults from others. 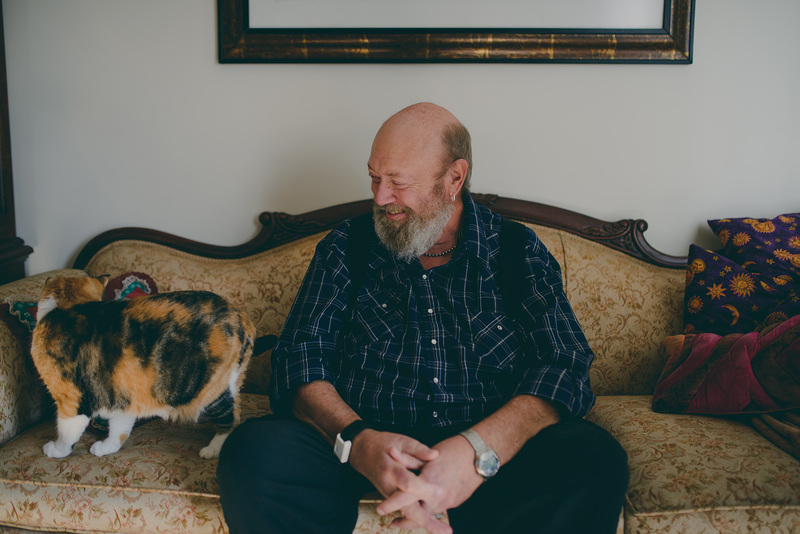 As an adult, his neighbors thought of him as “different,” and when working his fifth-generation farm became unsustainable and he turned to dealing in antique furniture, he faced many roadblocks. 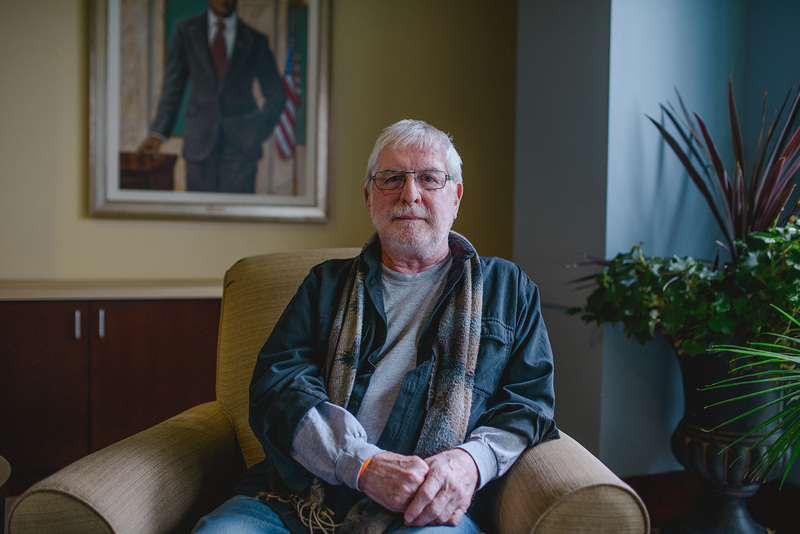 Like many LGBT people in Pennsylvania, Terry never felt comfortable enough in his home territory to live as an out gay man. Beyond the lack of understanding from many rural Pennsylvanians, there are no state laws in PA protecting LGBT people from discrimination in employment, housing, and public spaces. 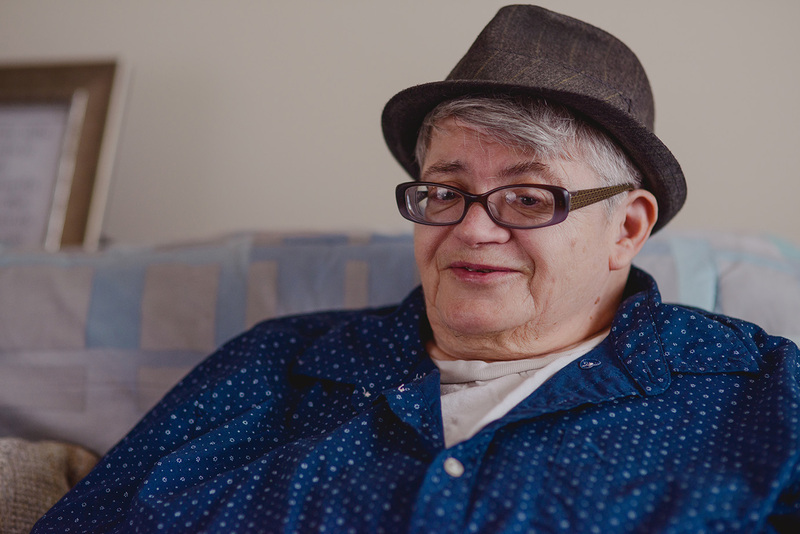 Disabled now, Terry is settled in an over-55 community and socializes with his ex-fiancée of 40 years ago (“She’s a new friend,” he said) and a couple of older gay male friends. Still, he is working to find his voice and use it to create change right at home in Pennsylvania. He knows how important it is that more Pennsylvanians understand the importance of passing full, LGBT-inclusive non-discrimination protections – and how sharing his story is one of the most vital ways to push forward. Bit by bit, he has observed, things improve. Now, it’s time for Pennsylvania to take a big leap forward and pass LGBT-inclusive non-discrimination protections. But the complaints persisted, until she was essentially forced out of working at the company. “I’d call in to see what hours I was working, and they’d say, ‘No, we don’t need you today,’” a clear attempt to intimidate her out of work. “I stopped calling in,” Denny said. Later in life, when she and her girlfriend went to look at an apartment, they were told at the door that the apartment had been rented. “It was obvious the agent had gotten right on the phone and told them to tell us that. We couldn’t push back. We didn’t say anything,” Samen says. Denny has always had a fighting spirit, which she says developed in part from her years of service in the U.S. military. Now, she’s applying that fighting spirit – and the general message that people should be themselves, without fear of discrimination for being who they are and loving who they love – to the push for LGBT-inclusive non-discrimination protections in Pennsylvania. In 1988, John Petsinger, a former military veteran who went on to a career in public service, was fired from his job from the Pennsylvania Department of Labor and Industry – the state agency that, ironically, writes the laws about how employees are to be treated by their employers. The ordeal dragged on and on – including complaints to the Inspector General, which called the State Police and had John thrown in jail for a night for completely unfounded allegations of John threatening his former employer. The next day, the charges were dismissed within minutes, the judgment in John’s favor. By and large, not much has changed in the past eighteen years with regard to Pennsylvania state law and its treatment of LGBT individuals: LGBT Pennsylvanians are not protected by state non-discrimination laws, and discrimination like what John faced in 1988 still persist today, with no legal recourse. John is still fighting against the discrimination he faced back then. He has a 4-inch-thick pile of legal actions, his attempts to set the record straight about what happened. And he’s speaking out about the importance of passing statewide LGBT non-discrimination protections, which would provoke massive change for the next generation of LGBT Pennsylvanians. For decades, Julie Williams worked hard at farming and in the tree care business, building a successful agricultural business from the ground up. She felt distanced from her Eastern Pennsylvanian family from an early age because she is transgender, transitioning from male to female, and so she threw herself into her work. Several years ago, she secured a great job at an innovative recycling company. During the workday, she was part of a 5-person crew of fleet mechanics. But in off hours, she lived as a woman, continuing her decades-long transition to become the woman she had for so long known herself to be. But Julie worried about what would happen at work as a result of the hormone therapy she was undergoing for her transition. “I saw trouble on the horizon. I saw some raised eyebrows. You weren’t going to hide 38-Bs,“ she said with a reflective sigh. Williams decided not to wait until that happened. Fearful for a negative encounter at work, she returned to the tree care business. If she had stayed at the company and faced discrimination for being transgender, she wouldn’t have had any protection from state non-discrimination laws. That’s why she’s pushing for LGBT-inclusive protections now. 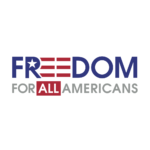 No one should feel their choices are limited because of who they are – but without state non-discrimination laws protecting people from discrimination at work and at home, that’s exactly what happens to far too many Americans. 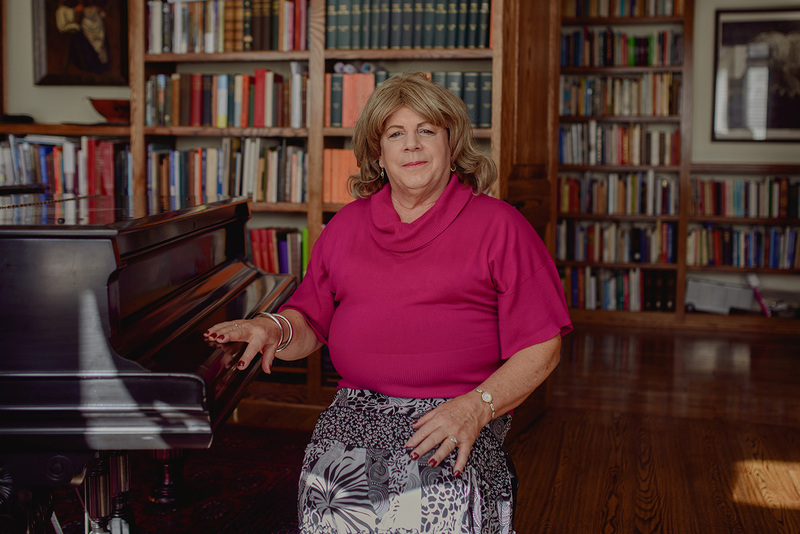 As a young adult in Philadelphia in 1972, Elizabeth Coffey Williams underwent gender reassignment surgery. For years, she knew herself deeply to be female, despite being born as a male. She had been taunted and teased for a long time by classmates, teachers, and disciplinarians, who made fun of her whenever she expressed her innermost feeling that she was a girl. 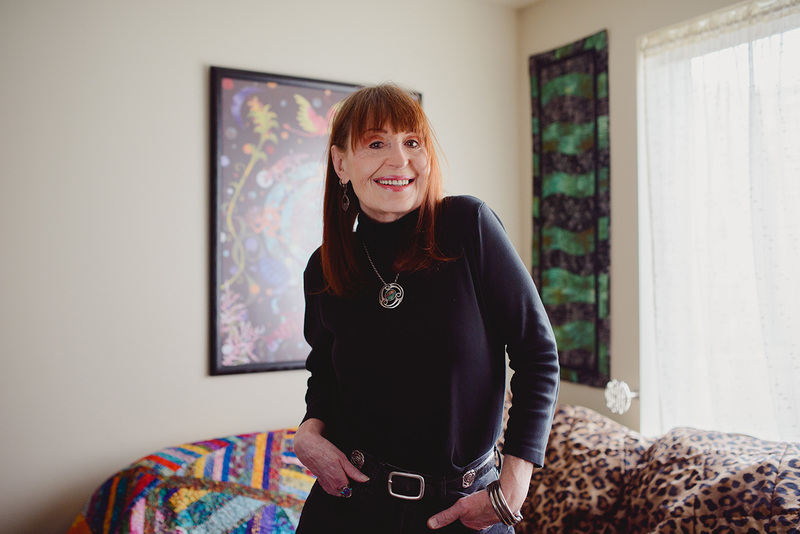 Throughout her transition, Elizabeth found support and creative energy as part of filmmaker John Waters’ regular ensemble of cast and crew members (the Dreamlanders), beginning with Pink Flamingos in 1972 and including three additional films. Later, she moved to Illinois with her husband, becoming involved in producing concerts at music venues and designing beautiful quilts. She enjoyed significant successes in film acting, music production, and fabric art and design. She knows that in her childhood roots of Pennsylvania, so much has changed with regard to the LGBT community. A supermajority of Pennsylvanians support LGBT people, and many out gay, lesbian, bisexual, and transgender people forge successful careers. But the state’s laws have not caught up with public opinion – under state law there are still insufficient protections from discrimination in employment, housing, and public spaces. Elizabeth wants that to change – and for so many Pennsylvanians, those laws need to change to bring a truly fair playing field for all Pennsylvanians. 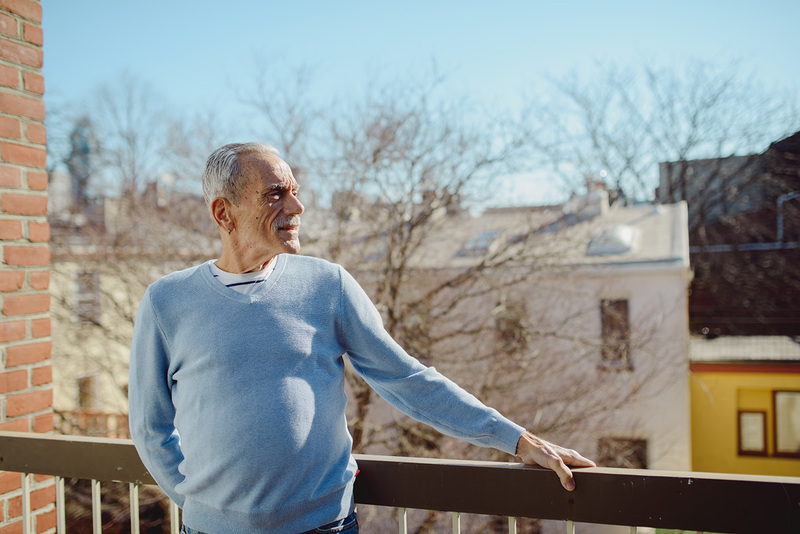 Today, Frank Potopa is nestled into the comfort of a 38-year relationship with his partner (and now spouse), Michael, and their supportive community of friends and family. “High school was awful. One night, some kids jumped out of a car while I was walking on a country road near where I lived. They called me a queer and beat me up. I knew who they were. My parents told me to go to the police. When I told the police what happened and that I knew who they were, the officer said, ‘There’s nothing I can do for you, pal.’” Frank returned to his home and attempted suicide – but thankfully, he survived. Years passed, Frank began understanding the power of healthy, reciprocal romantic relationships, and things began to get better. 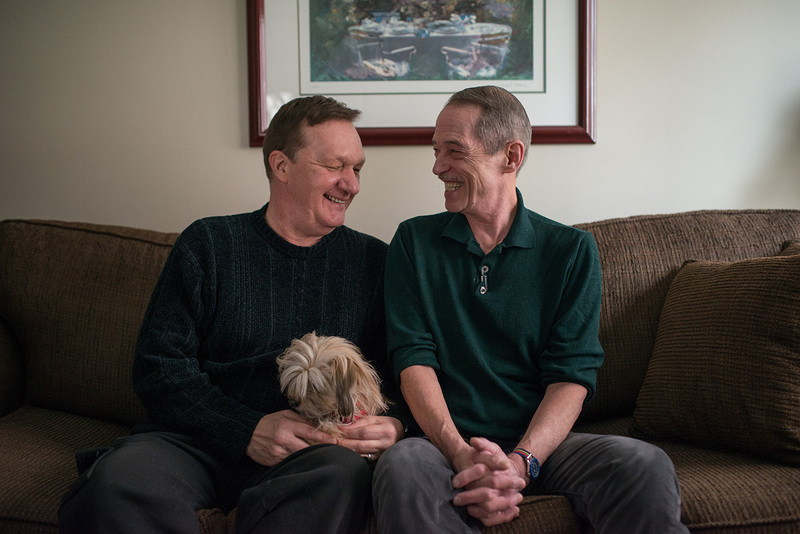 When he returned to his hometown in Pennsylvania, he met Michael, and they fell in love. Their life together has been a full one, with interesting work and travel. Now, Frank hopes young LGBT people in the next generation have an easier time – and he thinks part of that can be helped along with Pennsylvania lawmakers passing full and comprehensive non-discrimination protections for the LGBT community. 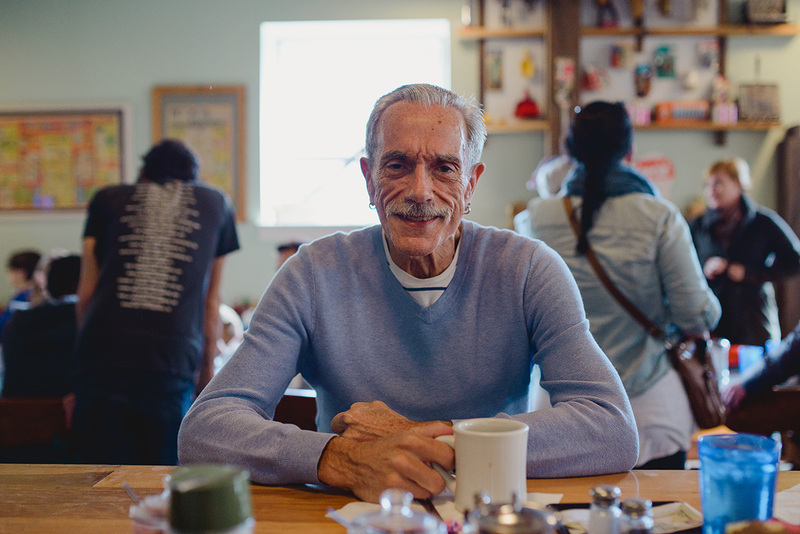 If you’re an LGBT elder – no matter where you live – your story can make a real impact. SAGE and other organizations are working now through August 22 to tell the Administration for Community Living (the federal government body that oversees the aging services network) that LGBT elders matter. Please sign the comment card HERE telling the ACL that our elders matter. Just click here to sign – and click here for more information about the initiative.